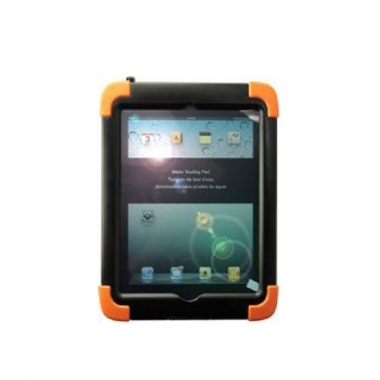 Water Proof Rugged Case Enclosure for iPad with IP68 Grade Waterproof from Yeong Yang Technology CO., Ltd. 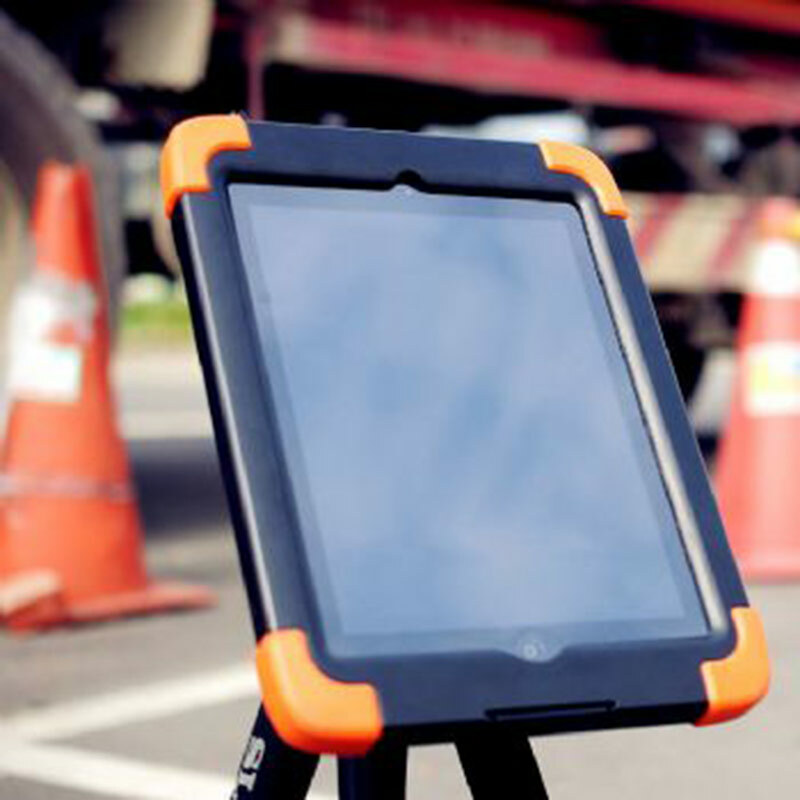 The RG series Rugged Case offers multiple layers of protection for iPad. An inner hermetically-sealed compartments with IP68 grade waterproof, while the bumpers and lining buffers the tablet from shock, tested and passed MIL-STD-810G. Both the front and rear portions of the tablet are completely encased while plugs shore up all of the tablet's ports to keep water out. An integrated screen protector that extends the touch sensitivity of the iPad. 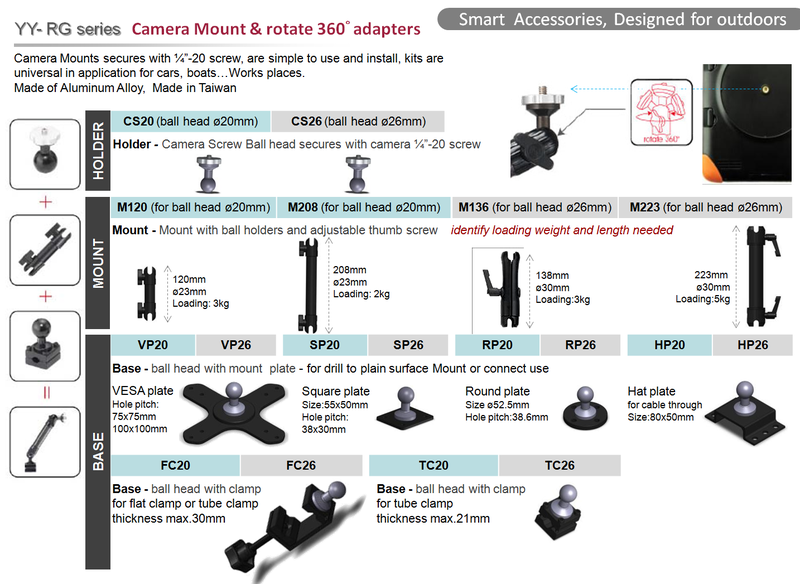 The case reserved mounting hole for tripod and security lock and come with a quick-release mechanism that allows for easy freedom. 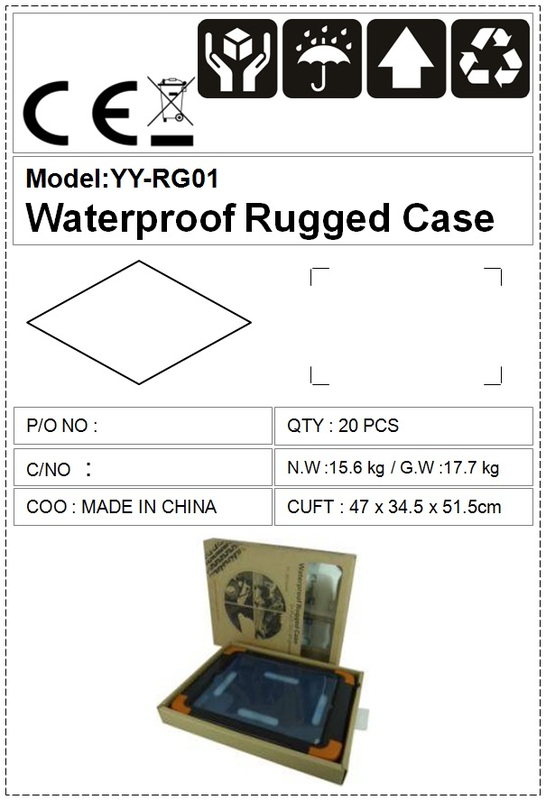 The RG series cases from Yeong Yang would tell customer the company have talent and experienced engineering ability for providing customize design and manufacturing to meet Military grade and working with industrial machinery. WHAT IS COVERED? 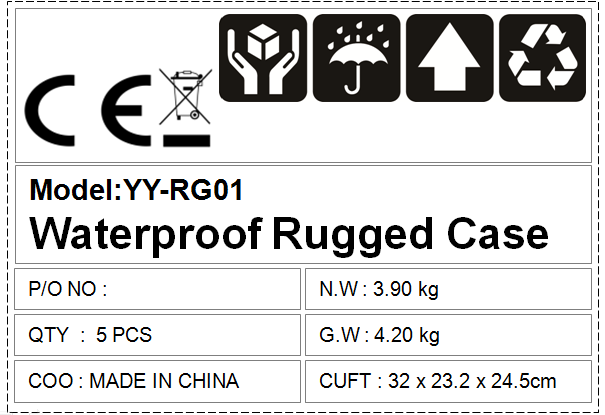 this product will be free from defects in workmanship and materials under normal use for a period of one year from the original purchase date. WHAT IS NOT COVERED? ‧ Normal wear and tear of Product use ‧ Misuse, lack of care, mishandling, accident, abuse or other abnormal use ‧ Use of the Product other than for its intended purpose ‧ Damage caused by improper or unauthorized repair or maintenance ‧ Product that has been modified or altered ‧ The product has passed MIL-STD-810G 516.6 and IP68, but it is not designed for diving purpose. The extreme usage over than the mentioned test method is not its intended purpose. MIL-STD-810, Environmental Engineering Considerations and Laboratory Tests is an United States Military Standard that emphasizes tailoring an equipment's environmental design and test limits to the conditions that it will experience throughout its service life, and establishing chamber test methods that replicate the effects of environments on the equipment rather than imitating the environments themselves. The current document revision (as of 2012) is MIL-STD-810G.Test Method 516.6 : total 26 drops from 4 feet (122cm) height to 2" plywood.